Divorce rates are going down year on year in the UK with statistics showing that younger couples are staying together for longer in recent years however both separation and divorce still occur. I remember quite clearly when my parents split up. I was eleven years old, just hitting puberty and I became angry, confused but didn't really have anyone to talk to or anyway of truly understanding the situation. Kids will often ask the question, "why? ", it's their way of coping with a situation, of making sense of what's going on but as parents we don't always have the answers, it's not easy to put things into words in a way that can be understood by younger children especially when it involves a change which is out of their control. There are lots of books for adults on parenting but not so much on the subject of divorce and definitely not ones that a child can read for themselves. "Sadly we can't shine together anymore. But our love gave us the most precious gifts of all - our little star"
Now I don't know about you but I turn to books a lot, they include a wealth of knowledge and as a child I would have really appreciated a book on the above mentioned subject, I think it would have reassured me that actually what I was going through was normal, and that despite what I was feeling at the time, I most definitely wasn't alone and this was what Polona Kisovec was thinking when she penned the book Why Don' Moon Fairy and Sun Prince Live Together? This book breaks down what could be quite a complicated situation into something simple yet effective, and I believe it does begin to answer that question of why. 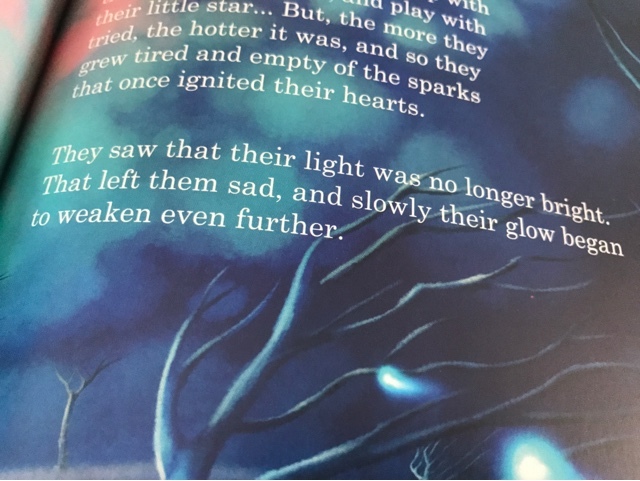 The story begins with us meeting both the Moon Fairy and the Sun Prince in their natural habitats. The fairy loves to count the stars whilst the prince loves nothing more than to embrace the rising sun but opposites attract so we watch their love begin to bloom. "Day by day, their loved flourished. 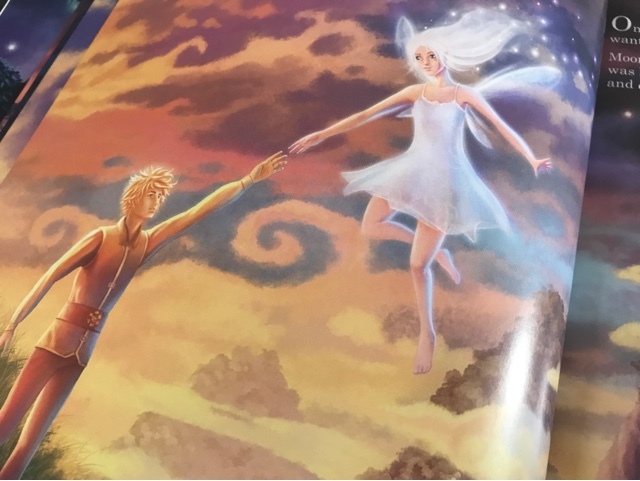 Love between the golden and silvery light, between Sun Prince and Moon Fairy. Love between day and night." And from their love a tiny little star was born and you get a sense of overwhelming love both for each other and for what they have made together but we know as adults that sometimes that glowing feeling that we can have for others can fade over time, not everything last forever and unfortunately Moon Fairy and Sun Prince grow unhappy despite their love for each other and this is a concept that I think children can struggle with the most, it is something learned over time. What Polona shows is that we all want to be happy but sometimes for this to happen there needs to change, compromise but that throughout there will always be love because really love conquers all. With both her words and the utterly breathe taking illustrations over the pages I found myself getting quite emotional reading the book. It is gentle and sensitive and not only a great help to the child reading it but also to the parent needing to answer those questions asked of them. 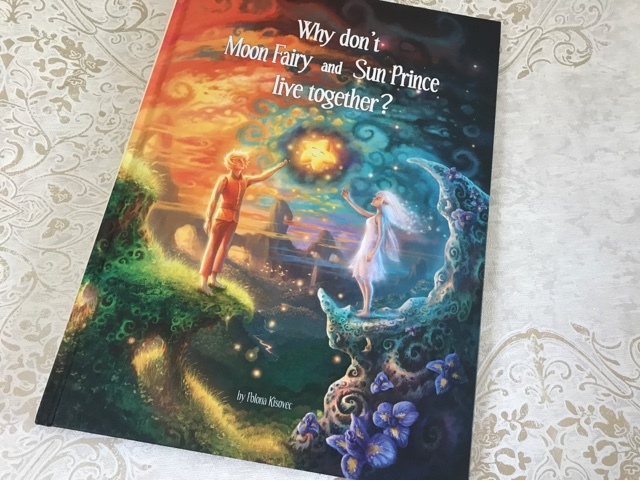 "There are millions of stars in the sky, but for us, you will always be the brightest of them all..."
Why Don't Moon Fairy and Sun Prince Live Together? is a lovely piece of children's literature, something meaningful wrapped up in something quite magical. I do hope I'll never need to use this book for my own kids but I know it would be something I'd turned to if the time ever came. It explains things in a no fuss way and ends up being quite uplifting and should leave your child feeling a lot more positive about the situation. A tale that as far as I'm aware is the first of its kind, that goes to show that despite everything love can bring us together. You can purchase your own copy from Amazon now. This is a beautiful sounding book and it sounds like it conveys some very important messages to children going through the same situation. I didn't realise divorce rates were going down, although I must say I don't think any of my kids' friends' parents are separated. This sounds like a really beautiful book to help children understand a difficult situation. I hope I'll never have to use it but it sounds like a great book to recommend to parents who are looking for ways to explain divorce to their children. This looks like a really lovely way to try to help little ones with what must be such a hard situation. 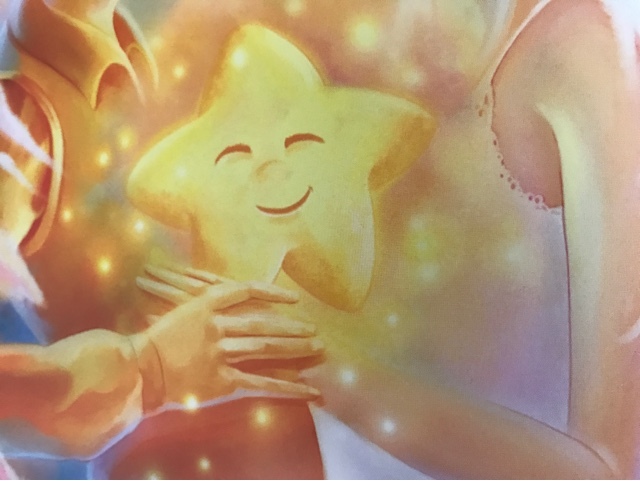 There are often divorced parents in middle grade books but it's not something I think I've seen in a picture book before.